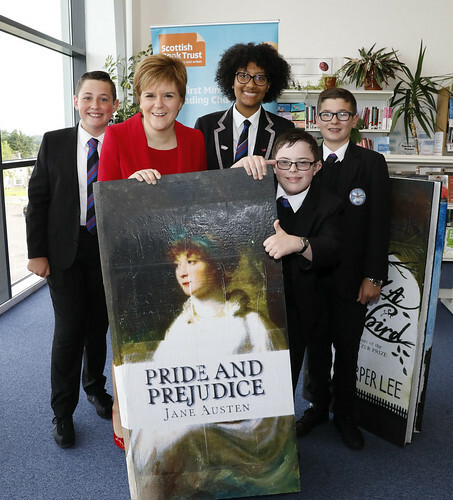 The First Minister’s Reading Challenge is now being piloted in six secondary schools across Scotland as well as extended to all primary school children across the country following a successful trial. Since the Reading Challenge began in last year more than three quarters of all local authority primary schools in Scotland have signed up. I am incredibly proud of the success the First Minister’s Reading Challenge has had in nurturing a love of reading for pleasure amongScotland’s young people which is why this expansion to secondary schools is so exciting. During her trip the First Minister spoke to the high school two reporters about her love of books, reading and politics. There is still time for schools to enter this years Reading Challenge. Find out more below. Hear more about the First Minister visit by watching the video below.